Made from a polyester-spandex fabric blend, the plain single-knitted fabric and high quality sublimated material and printing ensures this rash guard will not crack, peel or fade. The updated version of our Original Fighter Shorts, one of the most popular grappling shorts. Ultra lightweight for maximum mobility. The Keiko Summer Kimono was created using studies made by the best and most experienced professionals to provide a piece that’s extremely comfortable and durable. Made with the best technologically designed materials. It has great resistance combined with it’s light weight. Ideal for competitions where the athlete is required to make weight. It is also great for daily training, due to their light weight the kimono dries faster compared to other kimonos of different weights. The new Tatami Fightwear Spring Summer 2018 collection has pushed the boundaries yet again on functional, fashionable NO Gi apparel. As part of the collection we bring the Men’s Essentials range – a set of uniquely and high-quality designed rash guards and spats. The spats are all defined by striking art work and designs. The Interstellar, which has a bold, Galaxy print. The power vein, with a unique electrical current running through the design. The Psychedelic featuring a funky and colourful pattern, the Geo with a modern symmetrical shape and the hard and rugged Conduit. Each artwork piece is carefully designed to give diverse options based on your personal choices. All spats are made with a comfortable and flexible polyester-spandex fabric blend and high quality sublimated material to ensure they won’t crack, peel or fade. Each set of spats is fit with compression fit panels to maximise comfort and movement on the mat – the perfect option at an exceptional price point. 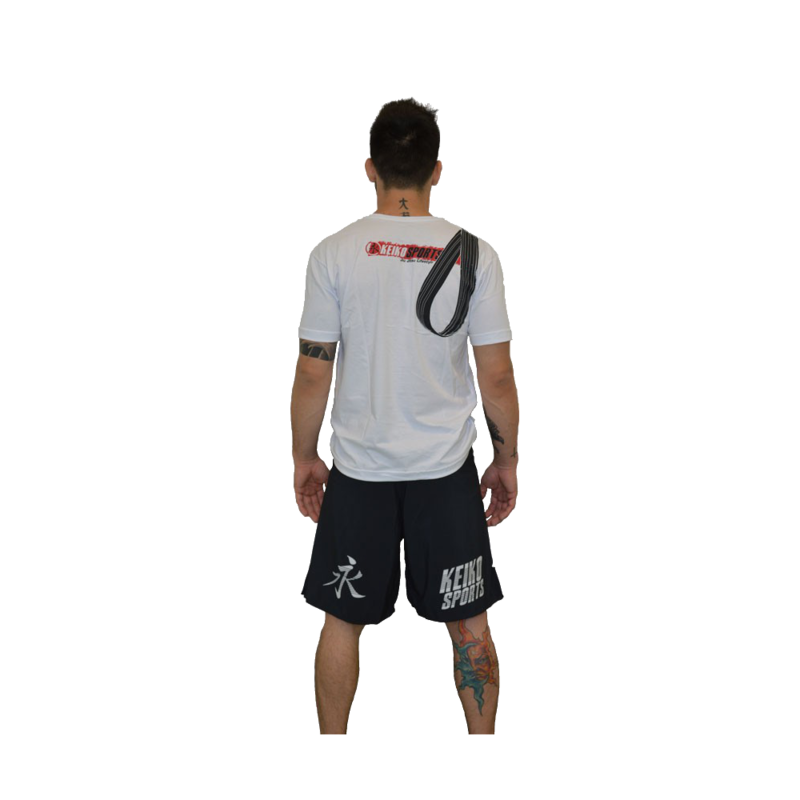 Tatami Fightwear 2018 IBJJF short sleeve rash guards feature a 4 panel construction for a more compressed and athletic fit. All artwork and graphics are sublimated into the material so will never get any pilling or cracking, but please ensure you read our Care Guide on how to best care for sublimated rash guards. Gum Shield with reinforced protective effect by harder outer layer and a soft core that molds perfectly to your teeth and also protects possible prosthetics. Comes in a plastic transparent box. The Omega back pack has been built with the Jiu Jitsu traveller and competitor in mind. The Omega features ample room for all your Jiu Jitsu needs, including an expandable bottom compartment, wet pocket, drinks holder and large main compartment. The 2015 EUROPEAN NO-GI CHAMPIONSHIP T-shirts. The 2016 EUROPEAN JIU-JITSU CHAMPIONSHIP T-shirts. A simple and understated high quality Jiu-Jitsu back pack. Perfect for training, college, work or day to day use. Fits approx 1 Gi plus rah guard and shorts. Fight2 All Sport Shorts are the ultimate crossover. These shorts are perfect for in the ring, or in the cage. They're perfect for on the mat, or at the beach. Whatever your sport, Muay Thai, MMA, or anyhting else, these are the shorts you want to be in. Now available with your team logo prints. Orders can be placed through your own team or ordered directly from online store. Please contact us if you want to have your own logo printed and it is not available on the online store. This product is available only to the stores.